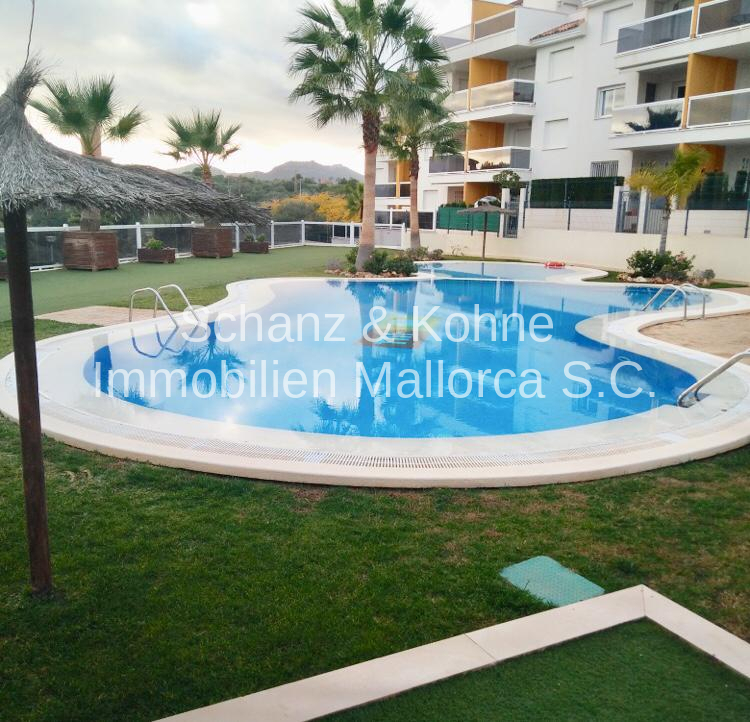 Property description This southeast oriented modern and bright 2-bedroom and 2-bathroom rental apartment, is located near the beach on the outskirts of Cales De Mallorca in a closed residential complex with community pool and sunbathing areas. 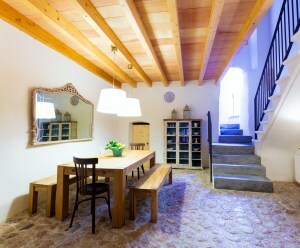 The apartment is furnished and has a large covered 12 m² terrace/balcony incl. garden furniture. This property has a sea view as well as a view into the "green";. The own car parking space is also part of the offer. To the small sandy beach in the bay of "Cala Antena"; one walks approx. 5 minutes. To the bigger beach "Cala Domingos"; one needs only approx. 15 min. .
Palma and the airport are about 45 minutes away by car. Manacor, Portocristo & Portocolom for shopping approx. 15 minutes by car. In winter very quiet and many possibilities for hiking along the beautiful east coast. Shopping facilities, cafes, restaurants and entertainment are within walking distance. Location: Cales de Mallorca is a part of the municipality of Manacor on the Mediterranean island of Mallorca. This manageable holiday resort is located on the east coast between Porto Cristo and Portocolom just north of Cala Murada. There are several restaurants, bars and shops throughout the village, two mini golf courses and tennis courts. The water quality here is very high and also the colour contrast that one gets offered is impressive. In the different bathing bays and at the small beaches one can explore the underwater world with snorkel and diving goggles in the best way. Thus, those who are looking for beach life are exactly right here as the beaches and bays are lined up like a string of pearls.